In the two years since implementing its initial distraction techniques, Children’s Hospital of Pittsburgh saw CT procedure volume increase 18%. Sedations for CT procedures dropped 97%—from 351 to nine in the same time span. What child wouldn’t want to go on an adventure with monkeys and hippos through tropical settings? Or maybe he would like to put on a helmet and travel into outer space? These sound like amusement park experiences any kid would enjoy. For some children in need of imaging exams, these scenarios don’t occur on the midway but in the radiology department of Children’s Hospital of Pittsburgh of UPMC. Radiology staff at the hospital created pediatric distraction techniques for children of all ages that have led to satisfied patients, high-quality images, and fewer cases where children required sedation for exams. “[Our distraction techniques] evolved from a family-centered approach to a multisensory process that begins with a story line that carries through the entire experience,” says Kathleen Kapsin, director of the hospital’s pediatric radiology department. The techniques used at Children’s Hospital of Pittsburgh incorporate appropriate coping skills to keep young patients from stressing over the exam and instead thinking more about a fantasy world of sea turtles or pirate ships. Studies performed at the hospital suggest that age-appropriate distraction facilitates coping, helps manage pain, decreases the use of sedation and other pharmacological methods, and builds trust between the staff and the patient. “The biggest thing, no matter how old the patient is, is that we need to build relationships,” Kapsin says. Personnel in the hospital’s radiology department learned that a few simple techniques can make a difference in a child’s hospital experience. Considering areas such as distraction, environment, positioning, and language may help a child have a positive hospital experience. The diagnostic imaging department features a selection of sensory equipment that includes an interactive bubble machine as well as a projector that displays images on the ceiling. Other appropriate distraction tools include selections from a treasure chest filled with light-up toys, games, books, stress balls, pinwheels, and party blowers. With distractions like these, children relax, breathe deeply, and are more likely to endure the imaging process. “The goal of implementing comfort measures is to help patients cope with the anxiety and fear associated with radiologic procedures,” Kapsin says. 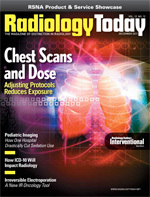 The impetus for the distracted imaging movement came in 2006 as the hospital’s radiology department faced a backlog as well as an increased request for sedations. In the course of determining ways to improve workflow, Children’s Hospital of Pittsburgh’s radiology staff came up with methods of distracting their young patients from the anxiety of undergoing a CT scan or an MRI. Staff members introduced small toys and music to occupy kids so they wouldn’t think about the procedure. With the implementation of these initial distraction techniques, Kapsin says CT procedure volume increased from 7,526 in fiscal year (FY) 2005 to 8,898 in FY 2007. Conversely, during that same time, sedations for CT procedures dropped from 351 in FY 2005 to nine in FY 2007. Hospital personnel didn’t stop there. In late 2008, staff began using multiple sensory input and a cohesive story line approach that involves a core group of animal characters—Haley the Hippo, Tara the Toucan, Marcellus the Monkey, and Tillie the Tiger—presented in multiple imaging rooms within the department. These characters lead an adventure that each patient participates in surrounding the exam. With construction of a new Children’s Hospital of Pittsburgh in May 2009, the facility’s radiology department expanded to include nine rooms for MRI, CT, CT/PET, and nuclear imaging. In this new setting, CT scanners are designed to look like pirate ships or underwater worlds, the SPECT/CT scanner is situated in a jungle setting, the MRI scanners are part of a space adventure, and a PET/CT scanner is worked into a camping scheme. With help from modality vendor GE Healthcare, the hospital introduced themes such as underwater landscapes and pirate ships, each with its own adventure. With each story line used, the scenario begins with the patient at registration and continues through the entire process, utilizing pirate hats or other theme-related apparel along the way. “If a patient needs more than one scan, the same adventure theme is carried through all modalities,” Panigrahy adds. Children undergoing MRI, for example, don goggles and the coil becomes their space helmet. As they “launch,” they can watch their favorite DVD or listen to music. Statistics gathered since the new facility opened show continued success for distraction techniques. From FY 2009 to FY 2011, patient volume increased from 28,497 to 47,309. When comparing variables between the old and new hospital model, there was an overall decrease in the number of sedations despite significant increases in the volume. To help with anxiety before children even reach the hospital, the facility’s website includes a kid-friendly cartoon procedural educational sheet and an educational coloring book, which add to the continuum of care. Imaging technologist Jennifer Conver says the distraction techniques give her more control over the scan outcomes. Since implementing the distractions, she has noticed improvements in the images’ quality. Scan rooms painted to look like underwater worlds with mermaids and sea turtles or pirate ships with captains and parrots come to life for the children’s hospital patients. Kapsin tells the story of one little girl who took an adventure to Pirate Island when she came to the hospital for imaging. When her mother entered the CT room, the little girl told her mother to be careful so that she wouldn’t fall into the water. When the scan was completed, the technologist asked the little girl if she would be able to swim to make her way to the treasure chest to claim her prize. The young girl explained that she would be fine since she was part mermaid. Creating and maintaining story lines for each adventure is important for keeping the patients engaged and distracted from the exam they are about to undergo, Panigrahy says. However, the plots and tactics need to change with the age of the patient. Infants like rocking, massage, and the stimulating lights of a disco ball; toddlers don’t like being held down and prefer pinwheels, bubbles, interactive toys, light wands, and singing; school-age children respond well to games, DVDs, TV, and bubbles; and teenagers do well with stress balls, TV, DVDs, and music. “The rooms don’t change, but the staff needs to alter their stories to make sure they are appropriate for the child’s age,” Panigrahy says. Kapsin notes that adopting this adventure fantasy approach to children’s imaging also means making a cultural switch regarding language used with pint-sized patients. There’s certain age-appropriate language that can be used that will convey what’s taking place without alarming young patients who may not understand what it means to flush an IV line. Another cultural change involves including parents in the actual imaging process. Putting protective aprons on parents and allowing them to be with their children during the imaging process is another distraction method that keeps the patients calm. When the hospital started using these techniques, Kapsin says many physicians believed it was easier to just sedate patients. They felt it took too much time to go through the process of distracting patients. However, it didn’t take long for attitudes to change. Incorporating these distraction techniques takes a cooperative staff, Kapsin says. At Children’s Hospital of Pittsburgh, personnel dress to fit the different room scenarios and really become “actors” in the process, which sometimes means putting on a pirate hat and shouting “Argh” a few times a day. Parents are also responding well to the imaging distraction techniques. They can also experience anxiety prior to their children undergoing scans, and that emotional reaction can be transferred to patients before they arrive at the hospital. Also, the reduction in repeat scans means fewer worries about radiation exposure for their kids. In the future, Panigrahy sees an evolution of these techniques into other areas, particularly as new technology is incorporated into the hospital’s lineup. In general, radiology practitioners are continually looking for ways to effectively complete patient scans, quickly and with better image quality. Techniques like these are just another example of that continued development.